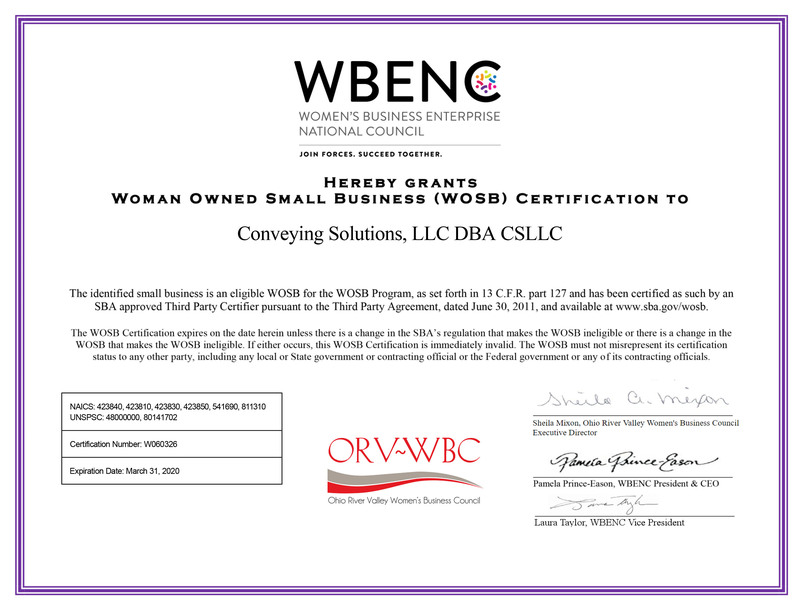 Conveying Solutions, LLC is a Certified Woman Owned Business and WOSB, Woman Owned Small Business. 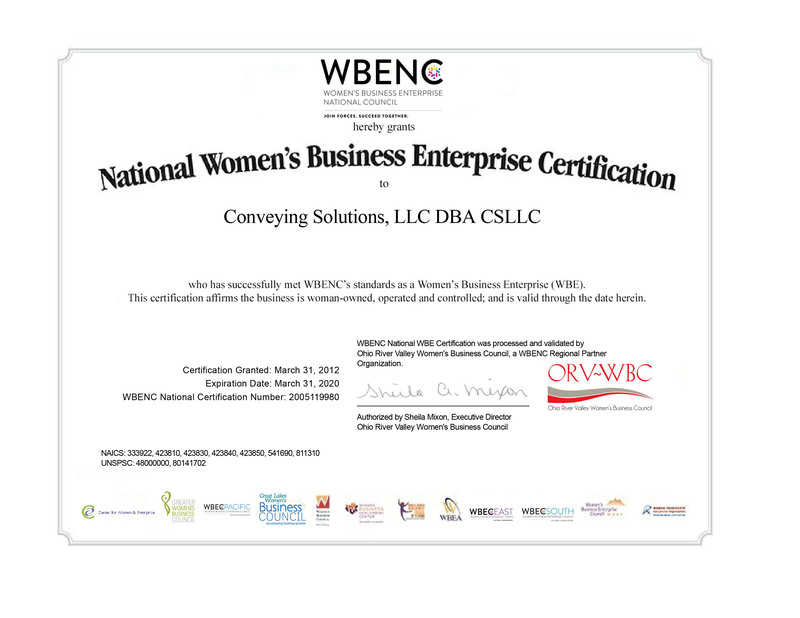 Conveying Solutions, LLC designs, installs, and maintains conveyor systems for the material handling industry. As a full-service conveyor service organization, conveyors are our focus. Though our sister company, Industrial Supply Solutions, Inc. and the direct relationships with manufacturers, we have access to everything you should need for your conveyors.